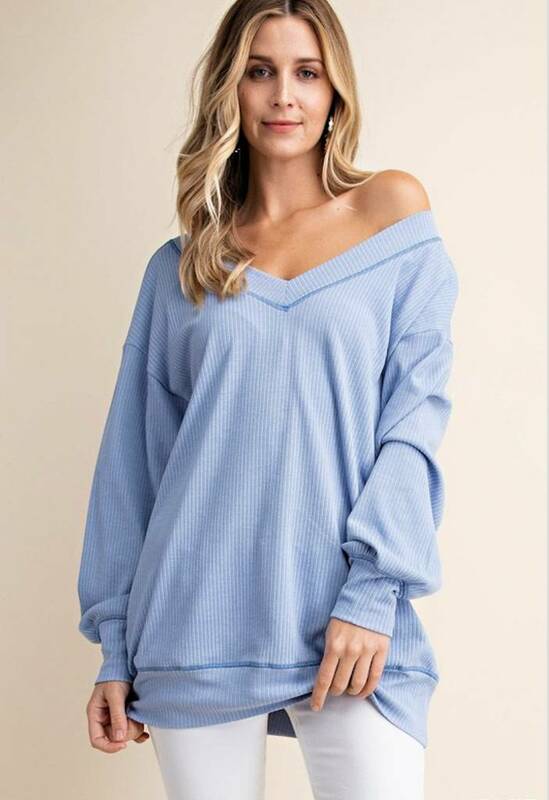 Oversized ribbed pullover in the prettiest shade of periwinkle blue. 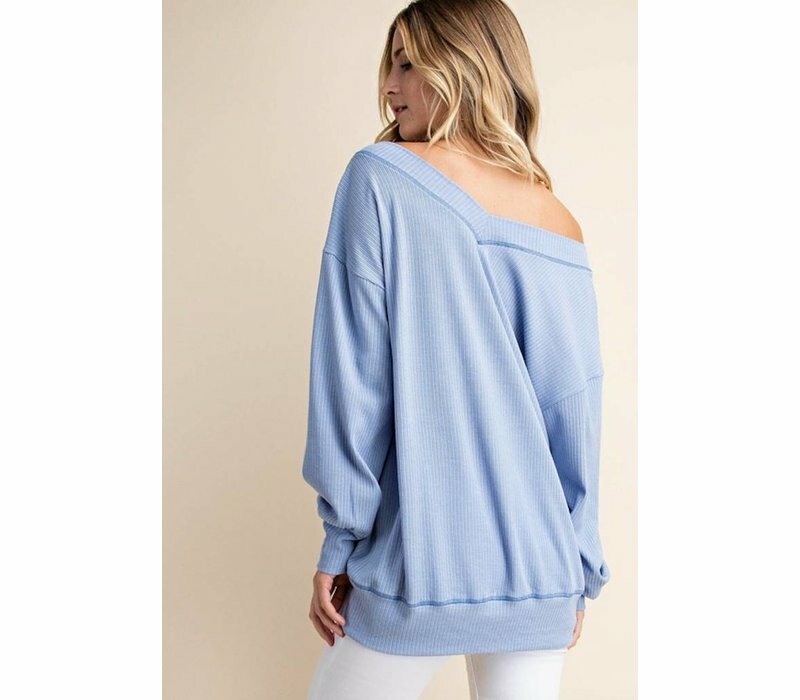 We'd wear this one off shoulder with one of our lace bralettes. 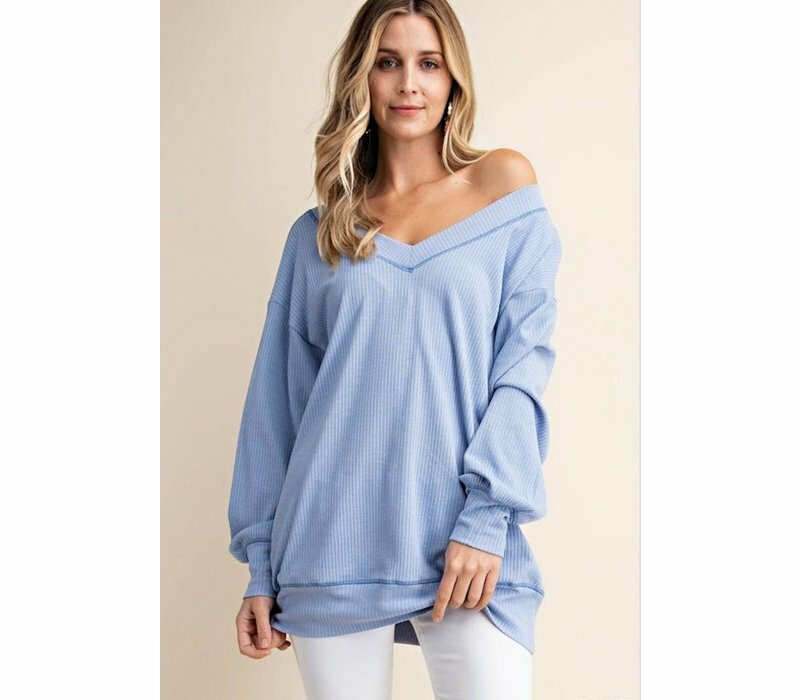 Perfect lounge wear or paired with jeans too.